CBD oil and other hemp products have become hugely popular recently. You can find CBD products everywhere! But even though you’ve probably heard about the amazing benefits of CBD, you might not know how to ensure that you’re getting high-quality CBD products. How do you know that what you’re buying is any good? Truth is, there are a lot of shady CBD products on the market right now. Some companies are just jumping on the CBD bandwagon and throwing products out there without thinking of the consequences. And not all hemp products are created equal. Read on to learn more about the benefits of CBD, questions to ask a CBD provider, and what you need to know before you buy any kind of CBD product! So what is CBD anyway? And what is it good for? CBD stands for Cannabidiol, a chemical compound found in hemp plants. It doesn’t make you sleepy, it’s not psychoactive, and CBD cannot get you high. To the contrary- it’s healthy and helpful for a wide range of symptoms! More on that below. A CBD product is any sort of personal product that includes CBD or hemp extracts. CBD products range from lotions and salves to tinctures and foods. They can be used on your skin or ingested. The effects of CBD can be felt about 10 minutes to an hour and a half after taking CBD. 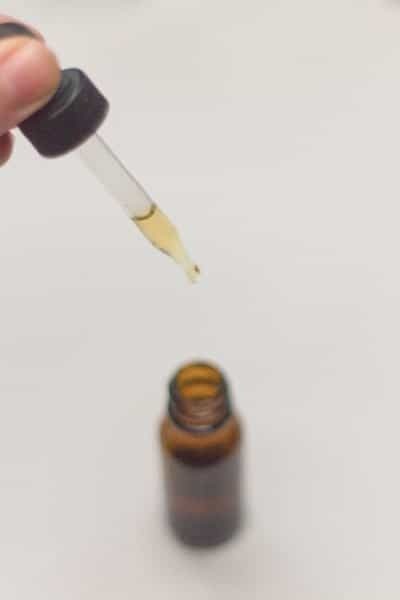 You’ll feel the benefits faster if you take CBD drops or a spray sublingually, or under your tongue, than you will if you take a pill, eat something with CBD, or use a CBD lotion. CBD doesn’t stay in your body for very long, and these effects last for about 4-6 hours. Some people need to take CBD regularly throughout the day for their symptoms, and some people take it once a day or less. 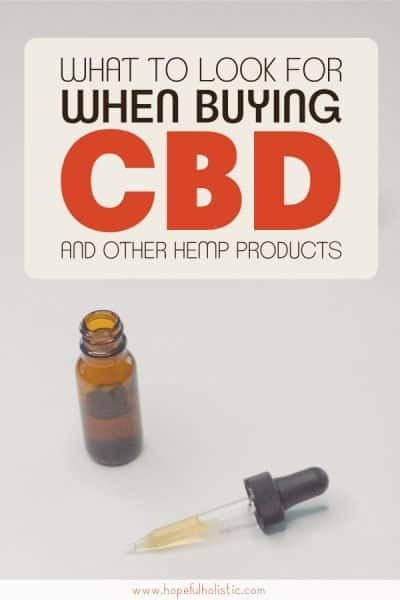 People use CBD products for many different purposes. The most common uses of CBD is for anxiety and to reduce pain. Personally, I enjoy using CBD to help with the anxiety I experience along with Lyme disease. I take CBD before I’m about to go into stressful situations, like crowds of strangers. It helps me feel calmer without feeling drowsy. Besides stress and anxiety, CBD products are also regularly used for improving the symptoms of things like multiple sclerosis, diabetes, arthritis, and epilepsy. It can also help to improve heart health by reducing artery blockage. I’ve also found that CBD helps me get better sleep. Check out this post if you want more suggestions on how to sleep better without pills or drugs! For even more info on CBD and its benefits, watch this video! CBD is generally considered safe for anyone to take, but you’ll want to check with your doctor if you’re already on any kind of medication. You can’t really take too much CBD. Most people react positively to CBD products, but every once in a while there can be rare mild side effects CBD oil side effects. It’s easy to start with a low amount of CBD and go from there until you find what works for you! Obviously, if you have any sort of adverse reaction, stop taking CBD. You can also easily make your own CBD oil or CBD salve! The only downside is that you won’t know the exact amounts of CBD in your finished product. If you’re going to make your own, start with very small amounts and keep an eye on how you feel, tweaking the dosage as needed. Short answer: It’s getting there! Hemp is generally regarded as safe. Long answer: hemp (and CBD products) just recently became legal (finally!) at the federal level in the United States with the passing of the Farm Bill in December 2018, but we’re still figuring out regulations and everything is still kinda in flux. CBD is also legal in Canada, but hemp is mostly used for animal feed. The rest of the world has varying laws relating to hemp products. You’ll have to check with regulations in your neck of the woods to see what the rules are. Here’s something you might want to be aware of: in the US, we’re still kind of behind the times. The drug tests we use today are the exact same tests that we used decades ago, and these tests could possibly show CBD as marijuana if you take a drug test. Some drug tests can’t tell the difference between marijuana and hemp. If you work somewhere that does drug tests, or you’re applying for jobs, the best thing to do is to explain how you use CBD to your employer. You can explain that CBD is not psychoactive, and talk about what you use CBD for- you aren’t in the back smoking a joint and getting high! You can also get CBD isolates, which won’t have even a trace of the THC they look for on drug tests, but isolates, unfortunately, don’t offer quite the same range of benefits that full-spectrum CBD has. To ensure that you don’t get too overwhelmed with the process of picking out some high-quality CBD, here are three easy things to look for in any CBD product you might be interested in! Whether you’re in the market for CBD salves, CBD oil, or CBD products for pets, follow these guidelines to help you find the best CBD products possible. This isn’t really a place where you can shop by price- you might be able to find cheap CBD products online, but they could be completely ineffective or include harmful fillers. 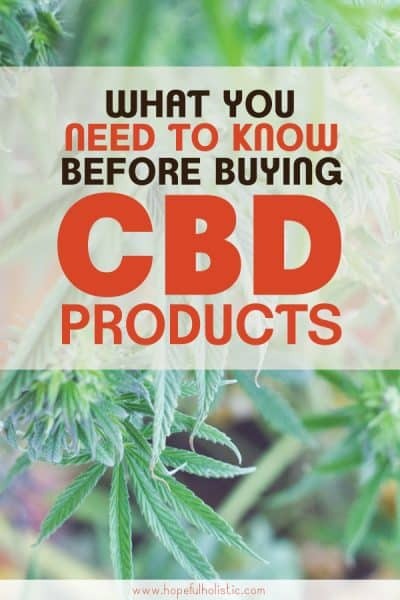 Instead, check out these three things to keep an eye out for when you’re shopping for CBD! First, you want to make sure that you’re buying organic hemp products. Why? Well, hemp is easy to grow organically- if it’s grown correctly, it should need any pesticides or herbicides. So an organic label should be easy. Still, some hemp growers think that pesticides and herbicides are an absolute necessity. These toxins get into the oils and fibers of the hemp. From there, it’s straight into your body. Hemp, more than most other plants, is great at sucking up toxins out of the soil. It can actually detoxify the ground it’s in! This is great for the soil, but not so great for your health if you’re using non-organic hemp products. If the CBD products you find don’t say “organic” anywhere, you don’t know what kind of chemicals are being used on the products you’re ingesting. I personally wouldn’t trust a provider that doesn’t offer organic CBD products since they really should be organic if they’re growing it correctly and not cutting corners. At the very least, ask your provider if they’re working on becoming certified organic. You want to know what you’re getting! The CBD products you buy should be full-spectrum. Don’t buy any CBD-isolate or CBD-only products. This could increase the risk of side effects. We need the whole plant, not chemically-processed sections of it. If you get CBD isolates, you’re missing out on all the benefits you’d get from full-spectrum extracts! The reason herbs work so well is that they aren’t just one chemical, they’re a composite of hundreds of chemicals that work together to balance and support each other- and you! Hemp has phytonutrients (or micronutrients), including hemp terpenes and flavonoids, that work better together. The FDA is working on creating drugs that are synthetic copies or CBD-only drugs, but unfortunately, they just aren’t going to work as well. It’s important to find CBD products that have been tested and verified. And your products shouldn’t just say “pure CBD” or “therapeutic grade”. Those labels don’t actually mean anything, they’re more like taglines. Instead, look for labels or footnotes that say the product has been third-party tested. There are a ton of CBD products out on the market now, and many of them are from companies that are just looking to make a quick buck- they might not have much CBD in them at all, or the CBD might be tainted somehow. Internal and third-party testing can look for pesticides, herbicides, and heavy metals in different CBD products. Even though tested products might cost a little bit more, that’s better than buying something that will either be ineffective or toxic! Testing can also ensure an accurate amount of THC and CBD. 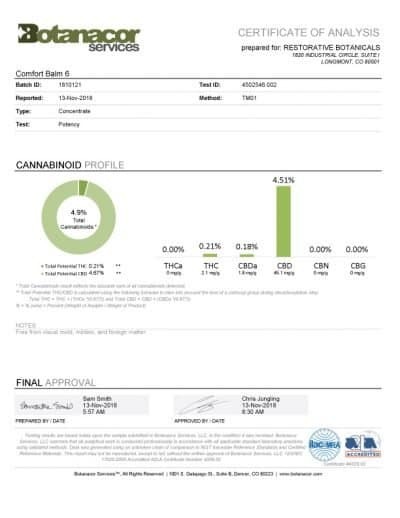 Any CBD product is legally required to be under 0.3% THC content. For example, Restorative Botanicals does “book-end” testing. They test their full-spectrum hemp extract before using it in any formulas or CBD products. This ensures that the extract is free of contaminants. They pre-buy hemp crops from local farmers they have contracts with to ensure consistency and quality in the hemp crop. The second part of the testing is product batch testing. The finished CBD products, from salves to caramels, are tested for cannabinoid content before being shipped. This test makes sure that the THC and CBD content in each product is at the right amount. They make sure that even their high-potency CBD products are below the federal legal limit of 0.3% THC content. Thankfully, you don’t have to go to some shady hole-in-the-wall dispensary to get quality CBD products- there are some fantastic full spectrum CBD oils and other CBD products for sale online! Charlotte’s Web is a very popular option for all kinds of CBD products- they’re well-known and have worked for many users! Purium is another company I’ve heard a lot of great things about. They pass all my tests! However, my go-to online shop for CBD products? Without a doubt. They’re completely organic, full-spectrum, and third-party verified. Restorative Botanicals offers a wide selection of effective CBD products- from massage oil, salves and pet CBD products to yummy caramels and CBD gummies. They even have CBD infused coffee! You’ll also find a variety of full-spectrum hemp oil supplements, with different strengths and ingredients added to make them more effective for what you’re dealing with personally. You can contact the guys at Restorative Botanicals to get help finding what type will be best for you. They’re super nice people and will happily help you to find the products that will work best for your symptoms! And if you enjoy saving money AND getting great CBD products, use code HOPEFUL15 for 15% off your order from Restorative Botanicals! Do you have any questions about CBD? What’s your experience with hemp oil been like? And don’t forget to save this post or pin it for later!